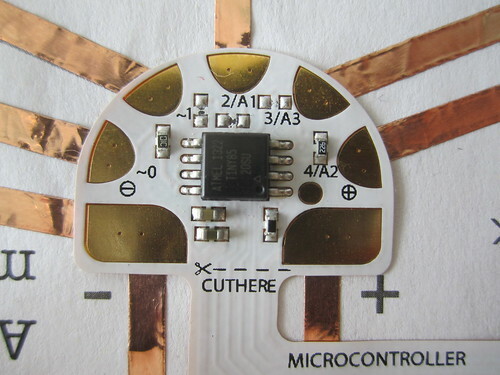 The microcontroller sticker is preprogrammed as a touch sensor with a variety of functions. 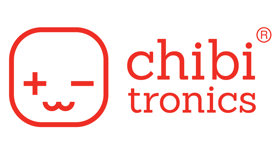 Similar to the trigger sticker, you can trigger the touch sensor by simultaneously touching the sensor trace and the “-” trace. 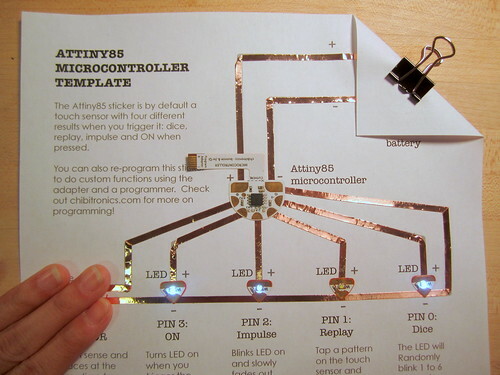 You can also clip conductive materials to these pads, like in the Makeymakey, and create your own touch sensor interfaces with other materials and objects! Pin 0: Dice, LEDs will blink one to six times randomly when you trigger the touch sensor. connect your LEDs from pin 0 to ground. 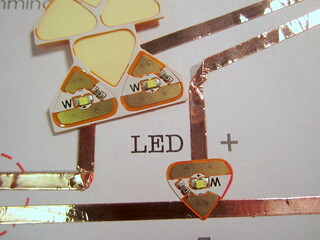 Connect the LED from pin 0 to – to make the LEDs blink ON or connect them from – to to pin 0 to make them blink OFF. Pin 1: Replay, tap a pattern on the touch sensor and wait a few seconds. 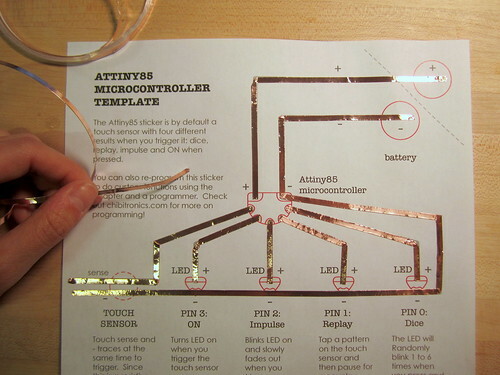 These LEDs will replay your pattern back on loop until you tap a new pattern. 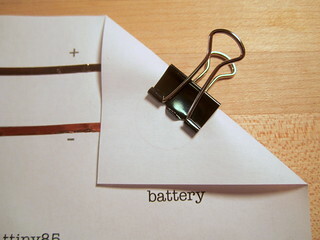 Pin 2: Impulse, when you trigger the touch sensor, LEDs will blink on and slowly fade out if connected the LED from pin 2 to -, or they will blink off and slowly fade on if you connect the LED from + to pin 2. For more complex interactions, you can also connect the signal pad of the sound or light sensor sticker to sensor pin 4 of the microcontroller. 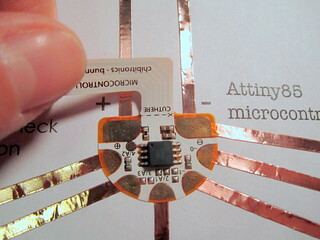 To try out the microcontroller sticker, print and use the Attiny85 microcontroller template below as a test circuit. 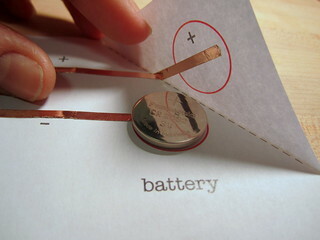 Try tapping the “touch sensor” area of the circuit. When you bridge the gap with your fingers, the LEDs on pin 3 and pin 2 should light up! 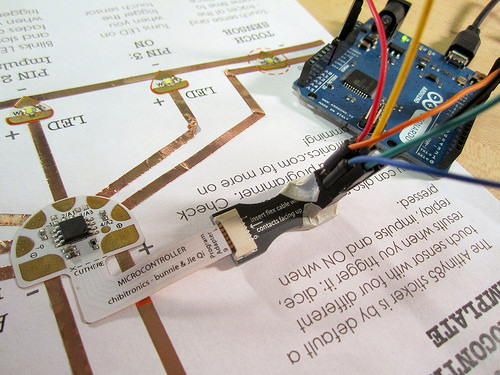 You can also reprogram the microcontroller sticker using Arduino software to create your own custom functions. Want to give this a try? 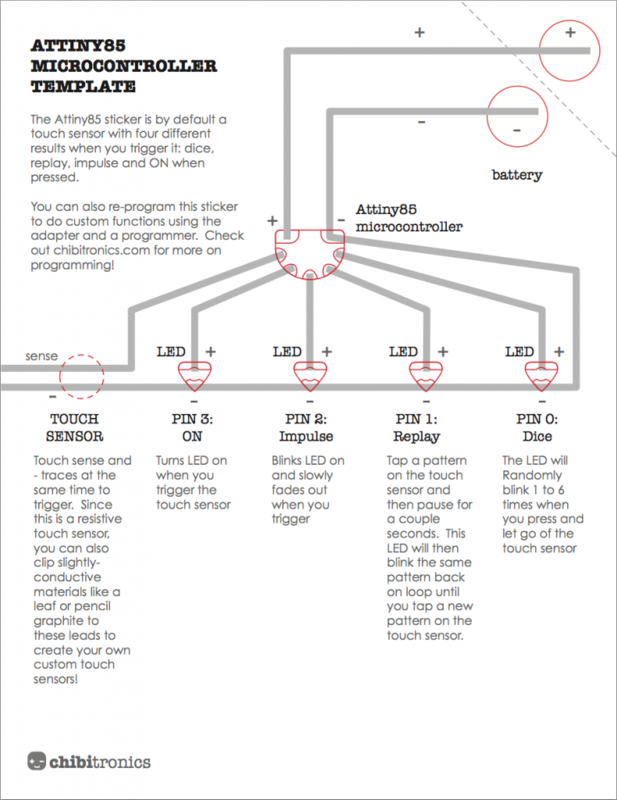 Check out this Programming the Microcontroller Sticker Tutorial !